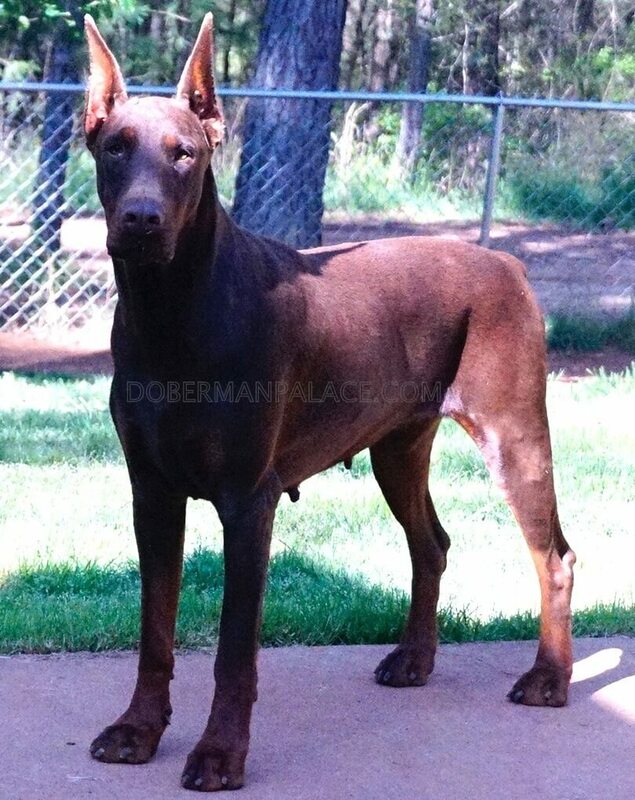 Champion Bloodlines: Yes, champion sired. Natasha is the pup with her breast hanging down (was currently providing milk to her puppies). 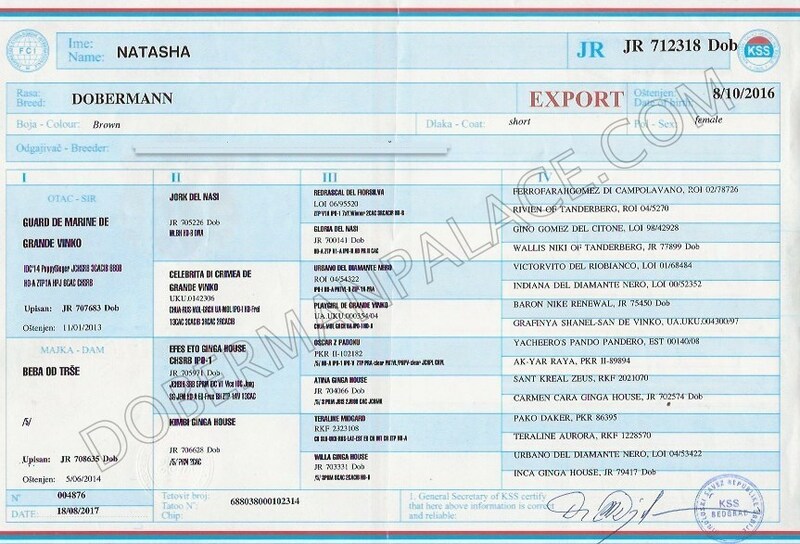 The 1st pedigree is Natasha’s original pedigree. 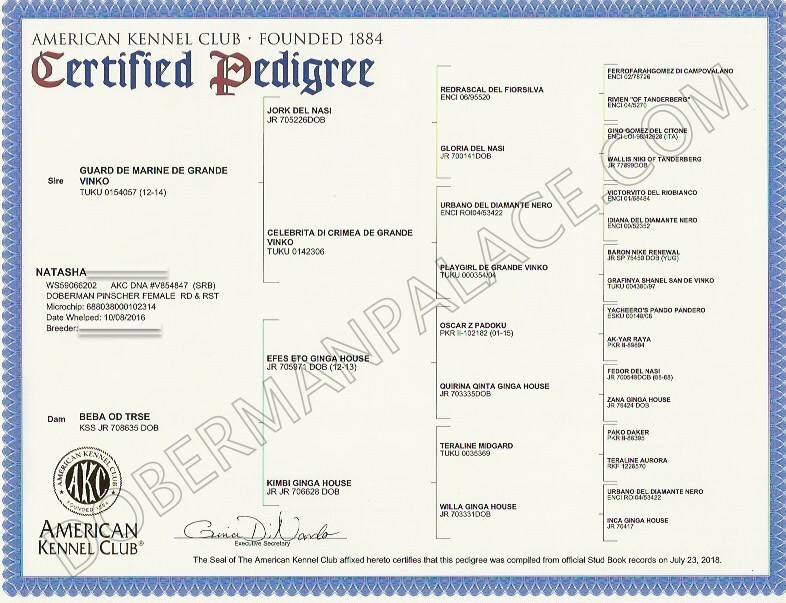 The 2nd pedigree is Natasha’s American Kennel Club pedigree. Sire side: starts in 1st Generation with Natasha’s father, Guard De Marine De Grande Vinko. He is a Youth CH. Has 70 Champions throughout Natasha’s 7th Generations. Consisting Champions, Multi. CHs, and Int. CHs. 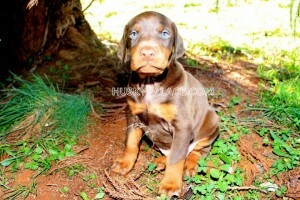 Dam side: starts in 2nd Generation with Delia’s Grandfather, Efes Eto Ginga House. He is a CH. Has 166 Champions throughout Nathasa’s 8th Generations. Consisting of Champions, Multi. CHs, and International CHs. Q: How many dogs should a dog breeder have? A: Husky/Doberman Palace personally believes a dog breeder should not have more than 10 breeding dogs.